A media fill (sometimes known as a process simulation) is the performance of an aseptic manufacturing procedure using a sterile microbiological growth medium in place of the drug solution. 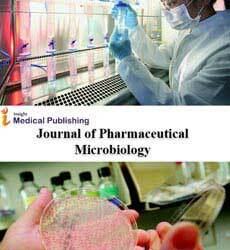 Microbiological growth medium is used in place of the drug solution during media fills to test whether the aseptic procedures are adequate to prevent contamination during actual drug production. A media fill is one part of the validation of an aseptic manufacturing process. Aseptic process simulation is a method to determine if a purportedly aseptic process really is aseptic. Aseptic process simulation (media fills) is the lynchpin of any qualification of an aseptic facility. Aseptic process simulations should be carefully planned to ensure the length of the simulation and the number of manipulations performed during the fill are representative of the actual process. An aseptic process simulation should simulate the original process as closely as possible, given the obvious constraints imposed by the use of media instead of actual product for the simulation.